Look the Eagles are mediocre at best. That was expected. They had the 4th pick in last year’s draft, don’t have a franchise quarterback, lack a strong pass rush, are without a true #1 receiver, are limited at defensive back, transitioning to a 3-4 defensive alignment, and have a whole new coaching staff for the first time in over a decade. 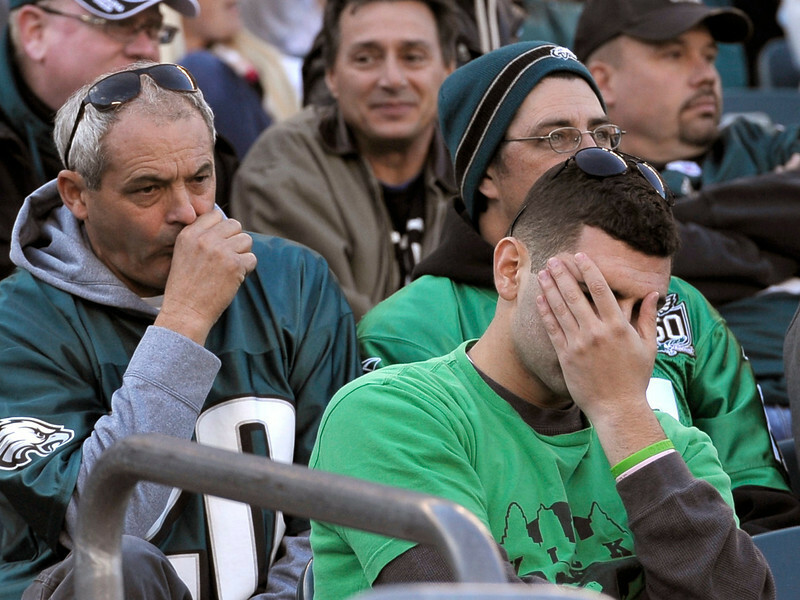 These are all reasons why the Eagles weren’t supposed to be good this season. But they were not supposed to be struggling to gain yards and put up points. The expectation was that Chip Kelly would come in and install a high-powered, statistical monster of an offense while working on finding parts to help get the defense get back into Top-10 shape. The reality is that over the last 2 weeks the Eagles offense hasn’t looked anemic, it has looked completely dysfunctional and overwhelmed. And if we look further back at the season, what stands out the most is that the Eagles have played a schedule in which the teams they have beaten have a combined 4-18 record. That’s pitiful. No one here at the Thunderblog is saying the Kelly has a ton to work with, although LeSean McCoy and DeSean Jackson are pretty darn good. And he has not had enough time to get the right players for his unique system. We are in no way saying fire Chip. But the entire blame cannot be placed on the players and the past regime. 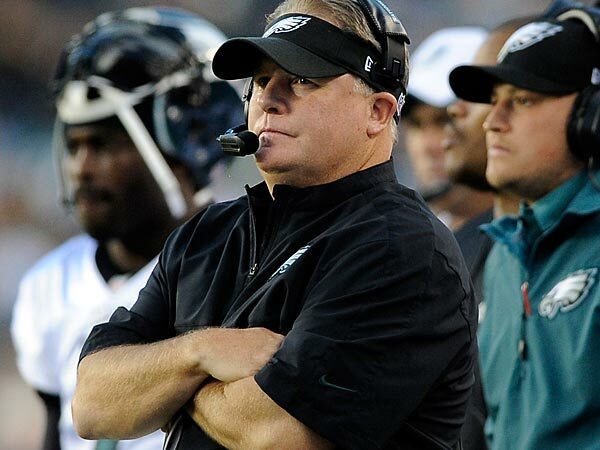 Chip Kelly is a rookie NFL coach, but what worries me is that he has still been a head coach before. What I see is a coach who struggles with in-game decisions. Whether it’s attempting a 60-yard field goal one week and then skipping a 50-yarder the next or kicking an onside kick in a one-possession game with 4 minutes left and all 3 time outs, Kelly just seems to make head-scratching decisions throughout the game. Why? There has been much discussion of this in Philly. The Thunderblog began to ponder this because the league’s best coaches make the adjustments during the game that lead to victory. 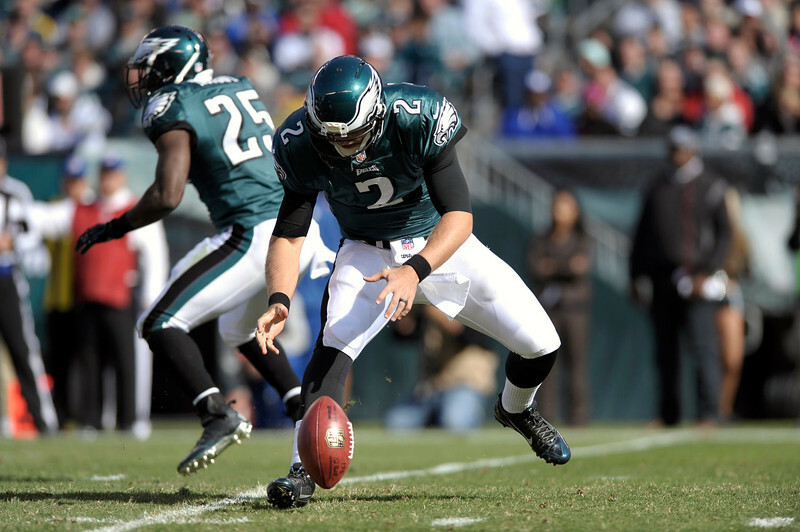 So when Matt Barkley came in for relief of the injured Vick, we expected Kelly to change his game plan for Barkley’s skill set. Quick passes and running plays were needed because that is Barkley’s strength. Instead, we saw Barkley running plays designed for Michael Vick, the game’s most accomplished running quarterback. Watching the second half, McCoy couldn’t get anything going as he was constantly hit behind the line on read option handoffs. 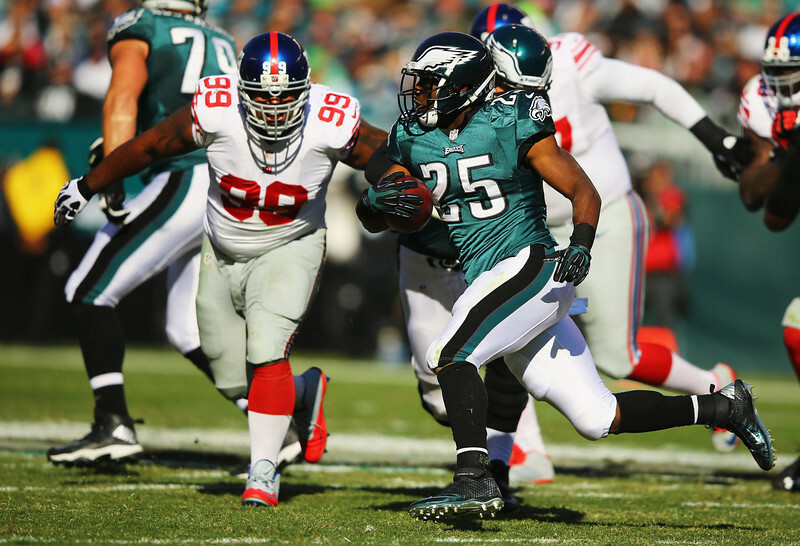 The Giants defense completely ignored Barkley. That is a problem because an option play means you leave one defender unblocked and he has to make a decision on who to go after. Well that unblocked defender keyed in on McCoy, shutting him down for 48 yards on 15 carries. Chip Kelly didn’t adjust his game plan. He claims that any quarterback can run his offense and I believe that. But that doesn’t mean the play calling shouldn’t be altered. It has to be. You have to adjust to your players and their strengths and weaknesses. “If we can’t execute what we need to execute, just getting the ball on people when guys are getting open and giving them a chance to make plays, then I think that becomes a real difficult deal,” Coach Kelly said. Correct coach, but it is hard to execute when you are asked to do things not in your skill set. No one is asking Brady or Manning, heck even Andy Dalton or Matthew Stafford to run the read-option. But each of those QBs could make plays in Chip’s offense. Look, once again, I get that there is a talent-deficiency on this Eagles team. But Jason Campbell was able to score against the Kansas City Chiefs defense and event he Jaguars could score against the 49ers in London. So that isn’t an excuse for 2 straight weeks without an offensive TD. ings yes, but when faced with an elite college defense, Kelly’s vaunted offense struggled. In 2009, the Ducks lost to Boise State 19 to 8 and Ohio State 26-17. In 2010 Oregon was shut down in the BCS National Title game, 22-19 by a strong Auburn defense. In 2011 the Ducks opened the season against LSU and their NFL-talent-laded defense. They lost 40-27 with 14 of those points coming late in the 4th in garbage time. And in 2012, Oregon’s best season, they lost to the Stanford Cardinal 17-14, struggling all night to beat a great Stanford defense. His offensive prowess was defeated by elite college defenses. Now in the NFL, Kelly’s offense has put up numbers, but hasn’t been able to show the necessary consistency or adjustments, just like in college. There is still time, but Kelly’s coaching instincts are shaky at best. Let’s give him some time, but so far NOT so good on South Broad Street.